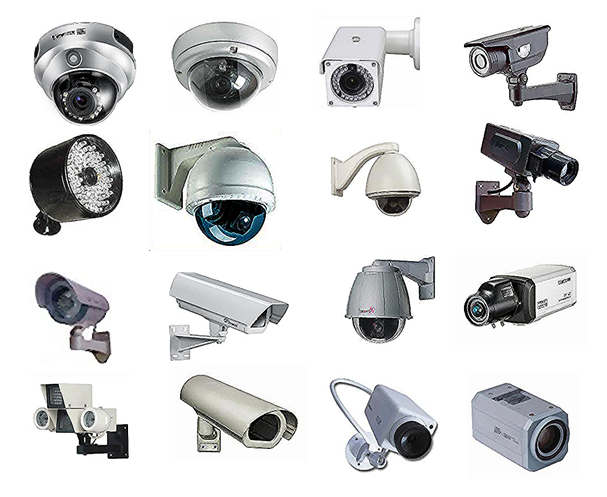 Would CCTV in your premises make your life easier? You bet it would! Ok, you've identified that you need security cameras for your business but don't know where to start? What cameras to choose? What to record? What it will cost? Will it actually do what you need? Let us guide you through the basics. Entry level analogue cameras will do the job fine, as long as you don't need finer detail, like facial and or number plate recognition. Higher Definition cameras cost more but the picture quality is far superior, allowing you to zoom in and identify subjects and use software like Automatic Number Plate Recognition (ANPR). IP cameras offer the same high resolution picture quality as HD but differ in that are connected to your local computer network, just like a mini-computer in themselves. This means they can be used to raise an alarm on detection of a security breach (when used in conjunction with sensors) and alert you directly with a text message. Higher picture quality can prove invaluable if you need to share it with the police or insurance companies. The camera type you choose will ultimately be determined by the quality of image you need to capture. At Momentum, we'll talk you through all theses options in more detail. We provide a good range of robust, high quality cameras. It could be the lambing shed or the front gate of the house. Or perhaps you want to provide extra security for your staff while in the workplace? The options are endless. In essence, every shot you want to capture may require a different camera with different capabilities. For example, one location shot may need a large lens size while another may need a wide angle lens. For ANPR you'll need a high recording resolution. And if you have several cameras, you will need to consider long term storage. Before you speak to us, make a list of what you want to capture and we'll advise you on the best cameras to choose. If recording in colour is important to you, then you may need to consider using some sort of support lighting at night. When light quality is low, cameras will switch to black-and-white, therefore LED lighting is the preferred option to ensure light levels remain high enough to capture enough detail. Identifying the colour of a car or person's jacket may become impossible otherwise. It's possible to buy low light cameras that work without support lighting but the cost can be prohibitively high. Setting up a CCTV system involves more than just cameras: you'll need to factor in peripherals like cables, connectors, power supply and labour. Remote monitoring allows you to see your cameras from virtually anywhere – rest easy knowing that your staff, customers and property are all being safely monitored, whilst providing a huge deterrent. Do the cameras need to be discreet or act as a visual deterrent? Will the cameras be situated inside or out? If outdoors, will the camera be exposed to bad weather or polluted conditions? Likewise for indoors, will the camera be exposed to severe conditions like smoke, heat, steam, water? Will the camera be static or attached to a moving object, like a vehicle? Will nearby subjects, like a shiny floor, flashing lights or streetlights compromise picture quality? Do you need to capture audio? Are you likely to add more cameras at a later date? It's a complex business but we're here to make it easy for you. 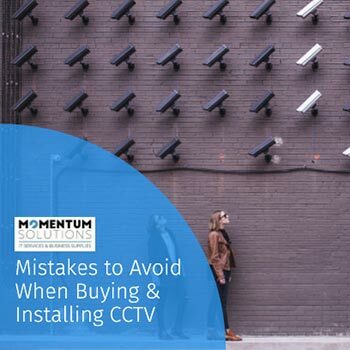 Make sure you don't make these costly mistakes when buying or installing your CCTV. Just enter your details below for your free guide. We'll map out your CCTV coverage requirements to compile a report that details the hardware you'll need and where to position it. And if you commission Momentum to install your CCTV system, the report is FREE. Gordon, the camera you installed is that good that I can read the tag on the cow’s ear better than when I stand next to the animal. Supply of 8 Channel NVR Wireless with 2 x 2MP Bullet Cameras (1TB HDD), with easy Smartphone monitoring. We now have a great CCTV system from the farmhouse to the steading, my husband can watch the lambing shed in the evening from the comfort of his armchair. We are very happy with our new CCTV system which was installed by Gordon and Robbie who were friendly and efficient. The system gives additional security for both ourselves and our guests and the video resolution is very clear. I would definitely recommend Momentum Solutions to anyone looking to have a CCTV system installed.